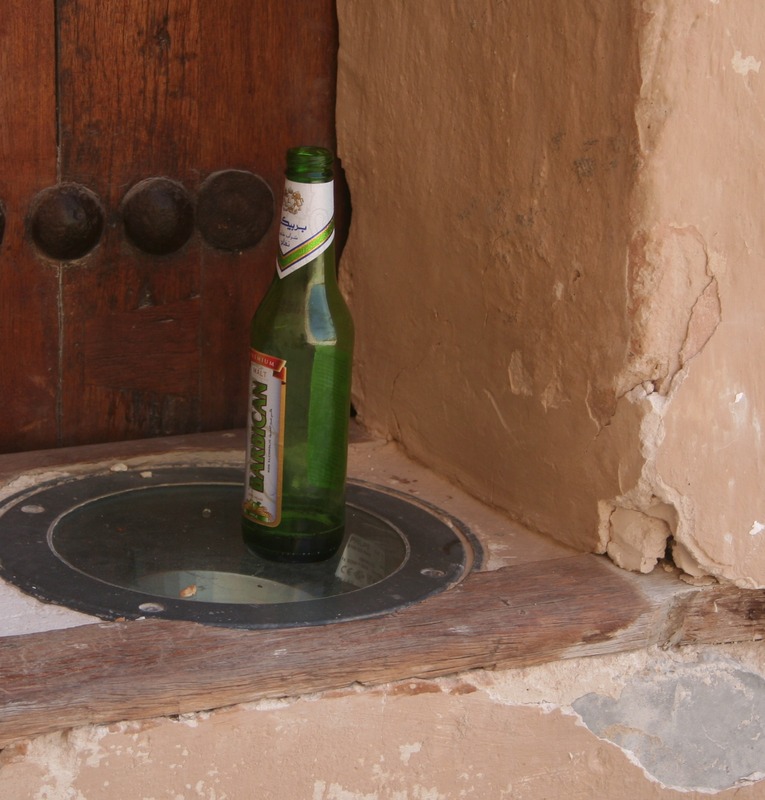 “I can’t talk Arabic when I’m drunk,” said Yasser, a Bahraini born and bred. Alcohol and the official language of a religion that forbids it, I thought — something about this dissonance was too much. Plus, he told me with a light flick of his cigarette, we think everything western is better. It felt honest, that Bahrain was a country that had handed over the reigns to someone else. 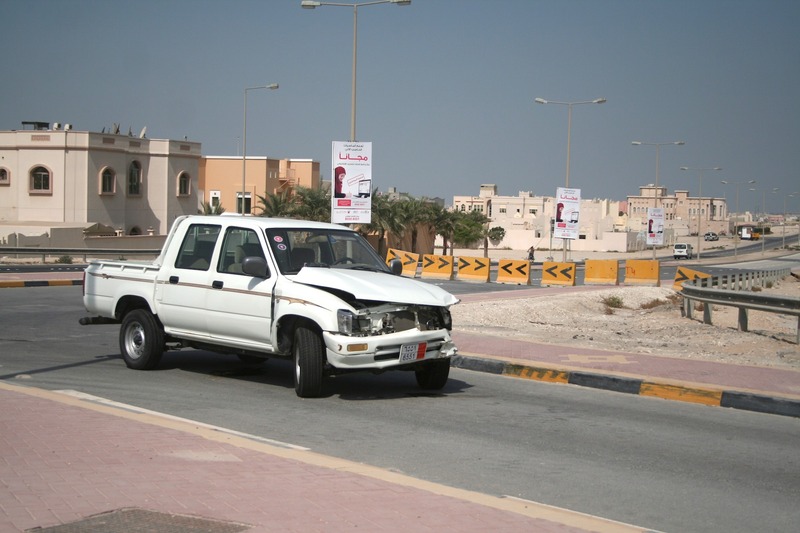 On the weekends, SUV-loads of shop-and-drink-deprived Saudis drive the 16 mile-long bridge from Dammam to use the tiny island nation as their playground — the kind of playground teachers let the older kids supervise while they have their cigarette break somewhere far away. I had spent the night on the sofa of a friendly local host who answered my CouchSurfing request. When I woke up, he was making banana pancakes. “Perfetto!” Taher was pleased. His other guest, a young Swiss woman looking for work in town, seemed used to the treatment. Taher, 36, had started a contracting business to become his own boss and to leave more time for travel — a month earlier, he was touring Southeast Asia; before that, Europe. “No one even knows anyone that has done what I’ve done,” he said, unaffected. For a country that pulls so much in, it seems to send very little out. 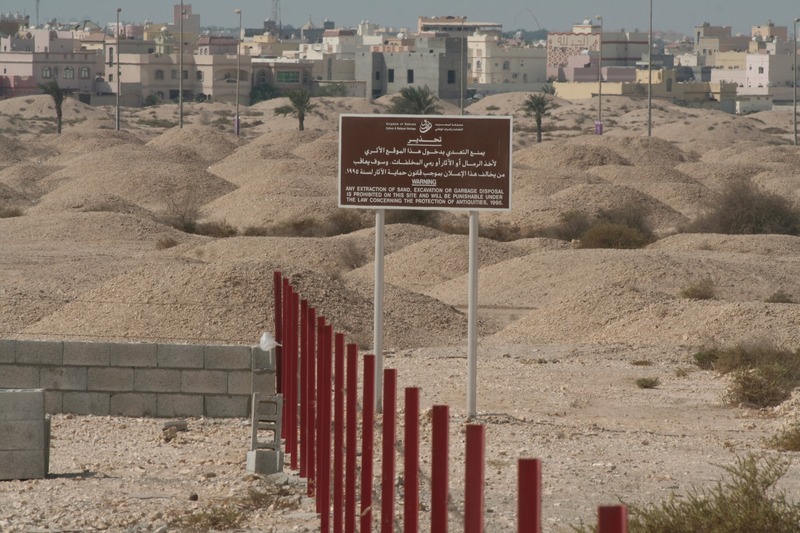 ANY EXTRACTION OF SAND, EXCAVATION OR GARBAGE DISPOSAL IS PROHIBITED ON THIS SITE AND WILL BE PUNISHABLE UNDER THE LAW CONCERNING THE PROTECTION OF ANTIQUITIES, 1995. There are larger, more protected fields of tumuli elsewhere in the country. In the four thousand years before mainland Khalijis came to Bahrain to feel alive, they used to sail over to die (one story says). 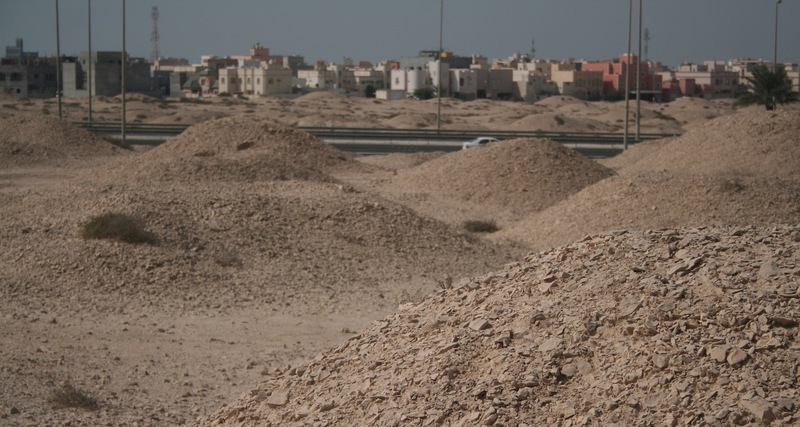 Five percent of all the land in the country is riddled with the goosebumps of twenty foot-long, several foot-high mounds in the dry sand and shaley rock left behind by the Dilmun civilization of the Bronze Age. We stood in an area that had clearly been paved over to make room for (haunted?) housing developments; the rest, certain parties threaten, may be destroyed for promoting unislamic burial traditions, or for simply taking up land where a garage could go. The view was awesome: bounded by the highway on one side and a row of colorful houses on two others, I boggled at many thousands of these ancient mounds. Excavators had unearthed bodies both male and female that were mostly unornamented and chambers that were not stuffed with valuables. I tried to picture the island like its ailing forefathers must have: a wide open badlands and the gateway to the world beyond, marked only with the remnants of those who had already made the trip. I touched one and apologized. The last thing I needed was a mummy attack. 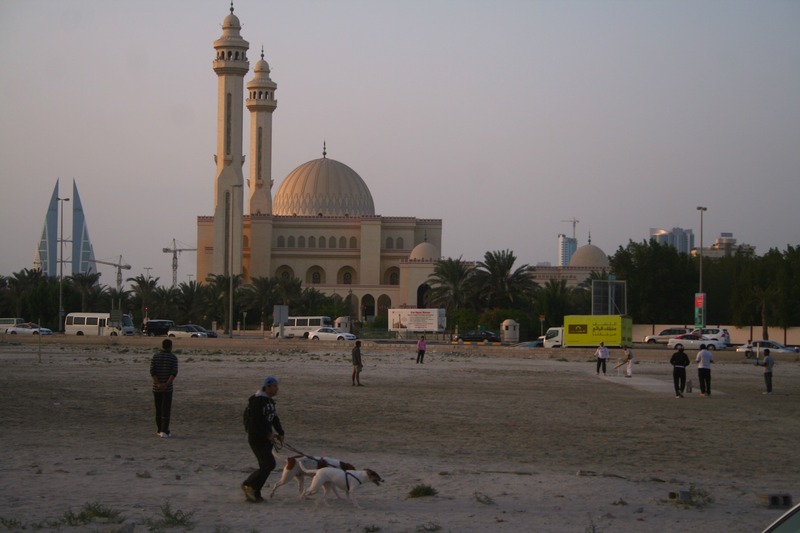 Back in town, Eleanor parked across the dusty, wide open space across from the Grand Mosque where a very organized group was playing cricket and man was running with his dog. We waited for the rest of the ex-pats outside Ric’s Kountry Kitchen, the cheapest Friday brunch in town still in classic Gulf tradition: all you can eat and drink, complete with Filipino cover band. And in Bahrain, the pork was real. For 16.5 BD (about $40), we got yellow wristbands. Our waiter brought vodka tonics in pint glasses while the singer began to make a few terrible noises. But bacon — real bacon — and biscuits far more honorable than Abu Dhabi’s KFC-accoutrement hamburger buns made it all horribly worth it. The ladies at the grill brought over fried eggs that mixed indelibly with the sushi perimeter around my chicken curry. A round of gin shots. (Who takes shots of gin?) More sausage. We piled into a cab for the next stop, a good mockup of an Irish bar called <JJs. Inside, a table of American businessmen were actually discussing office printers. A few little groups crowded around the bar (it was 4 p.m.); we Brits, Americans and Yasser discussed nothing around a table. Protests were dying down in other parts of town. There had certainly been violence — deaths nearly every week, Taher had said. It was amazingly easy to ignore the news. Bahrain seemed divided on how to remember its own past, and nearly at war in deciding how to arrange its future. Along with most of the rest of the non-protestors, we found the little bubbles of the present that looked like what we wanted and slipped into them. JJs only smoked with cigars. I bit: what was that? I squinted at the last hour of daylight in wonderful November weather. I hailed a cab for the souq. More pictures from Bahrain here. Was wondering what’s been going down. Sounds quiet. Amazing how easy it is to sweep problems under the magic carpet…. Very moving. The mounds, the writing on the wall. The erasures. The indelible marks. 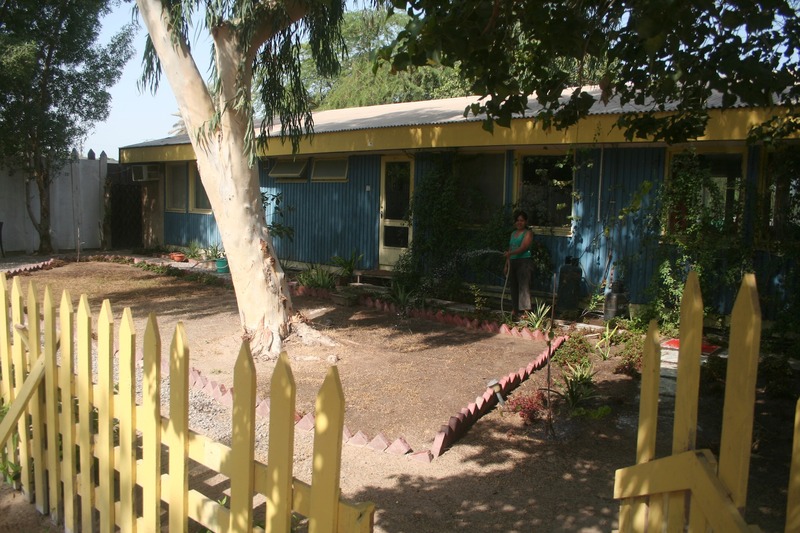 Alcohol can’t wash away desert loss, desert hate.